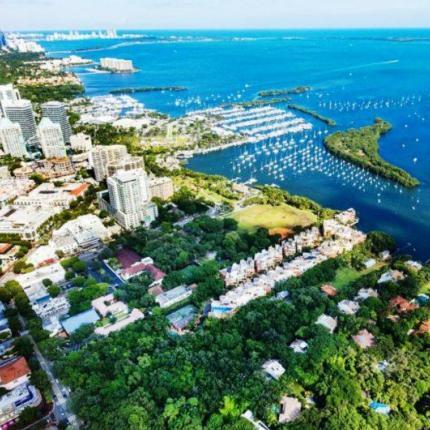 A South Florida homebuilder acquired 22 parcels in Coconut Grove for $25 million. Send Enterprises LLC acquired the parcels and got a $25 million mortgage loan from Fuse Funding in connection with the acquisition. The managers of Send Enterprises are Douglas Cox and Nicole Pearl in Coral Gables. Cox has developed many of the newer houses in Coconut Grove. The sellers of the 22 parcels are three companies managed by Phillip Sylvester: Set Dynasty LLC, Set Grove 4 LLC and Galleria Realty Corp.
Twenty of the 22 parcels are a mix of vacant lots, houses and townhouses. The other two parcels are units at the Bridgeport Villas condominium.